The RYA VHF (SRC) Marine Radio qualification is the minimum qualification required by law to control the operation of VHF and VHF Digital Selective Calling (DSC) equipment on any British flagged vessel voluntarily fitted with a radio. It consists of this online course, which is then followed by a separate practical examination (booked once the course has been completed and costing a further £60 paid to the RYA). We can also run it as a classroom course as well, see below for further details. This is usually taken as an online course that takes roughly 5 hours of self study, and is followed by a separate examination (see below). To find out more (and to be sure it will work on your computer) download the online taster course found here. We can also run the course as a classroom based course, although as the exmination needs to be done by a separate examiner, we would need to bring in an external examiner. This might be more appropriate if you had a larger group of people to do the course. Please contact us if this would be more convenient for you. 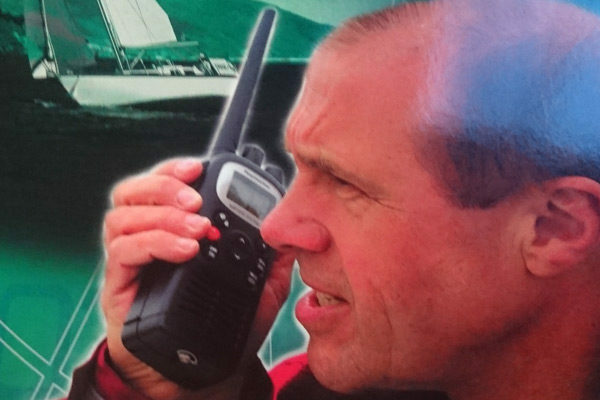 You may find the RYA VHF Radio (SRC Syllabus and Sample questions) book useful for doing this course, which can be found in our online shop. When you book this online course we will send out a course pack to you that contains the RYA VHF Handbook. You will then also receive a user name and password for you to log in to the online system to access the course. The examination includes a practical part using training radios as well as a written examination, and costs £60 payable directly to the RYA. Once you have passed and received your certificate you should pay for an examination through the RYA here. We can run the SRC exam regularly, and if you contact us after you have passed the training then we can arrange a suitable date. We can also run the SRC exam if you have taken the training elsewhere, or have exemption from the training. This will incur an additional fee. Please download the taster course, as if that works then the full course will also work on your equipment.